By default, the iMow robotic mower travels back home to the docking station along the perimeter wire. If required, and depending on the condition of the edge of the mowing area, the iMow can also travel to its docking station with an alternating offset to the perimeter wire. 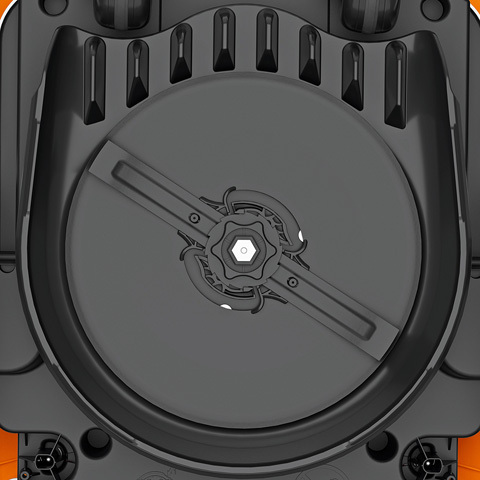 The control panel with integrated and bright display is used on all STIHL iMow robotic mowers for easy setup, manual control and fast display of machine information. The high-contrast display means the control panel can also be used in sunlight. The panel is flush-mounted in the housing of the automatic lawn mower and can also be removed for convenient access. 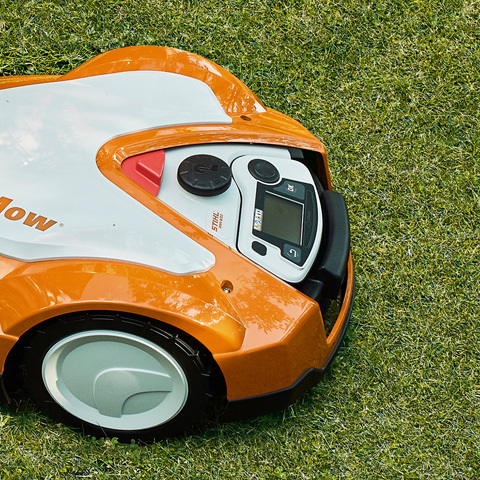 The iMow app transforms a STIHL iMow robotic mower into a standalone smart garden system. The intuitive app menu can be accessed via smartphone or tablet, which means that many mowing settings can be made not only directly on the machine but also while on the move. The free iMow app offers a real-time overview of main functions and performance data. 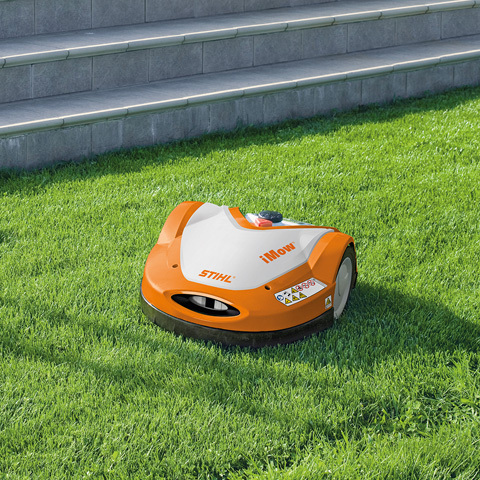 Using the interactive mowing plan, time windows can be defined for each day during which the iMow robotic mower works flexibly and independently and charges its battery. Thanks to the integrated rain sensor and receipt of online weather forecasts, the automatic lawn mower only mows in suitable weather conditions. Using GPS localisation, the current location can also be viewed and a desired zone can be defined as the preferred mowing location at a specific time. The STIHL iMow robotic mowers feature a drive that enables them to mow hilly terrain with consistently high quality. The RMI 6 series models can handle lawns with a gradient of up to 45%. 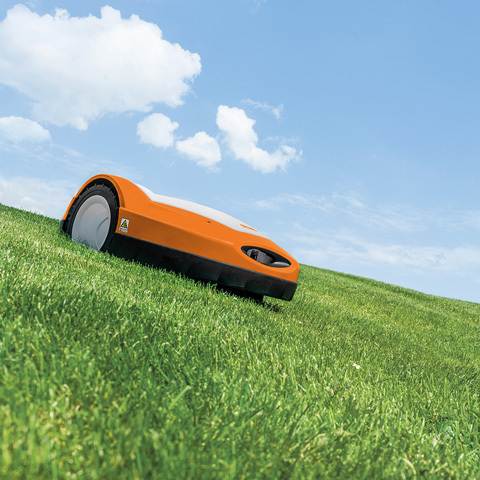 The STIHL iMow robotic mower is equipped with various sensors. As soon as someone attempts to pick it up while mowing, it stops. 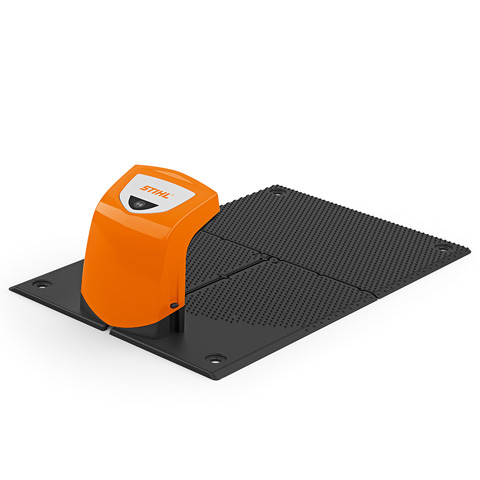 In addition, the automatic lawn mower can be protected with a PIN code. If it is configured so that it can only be operated by entering a PIN, it is protected from unauthorised use. On all C models, the iMow robotic mower can also be located using the free iMow app via smartphone or tablet using GPS. 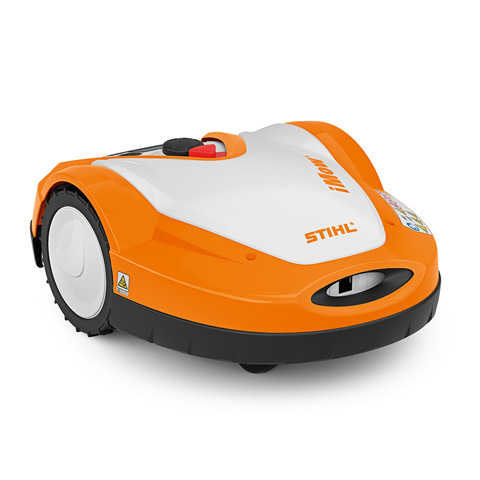 The docking station is included as standard equipment for the STIHL iMow robotic mower. It is both the robotic mower's home and where it charges its battery. At the same time, it is the starting point for every mowing operation. When driving, the automatic lawn mower is guided by the signal transmitted by the perimeter wire at the edge of the lawn. This signal is fed via the docking station. 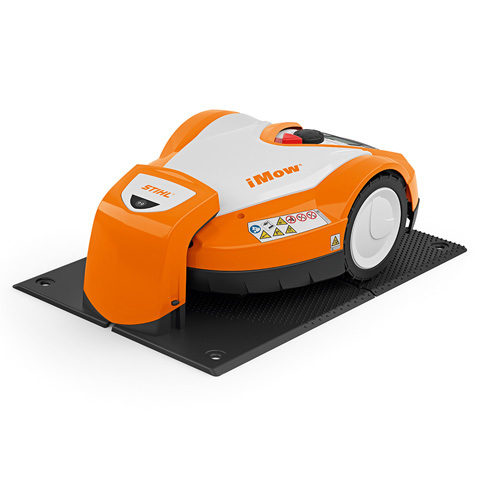 If it rains or the battery runs down during mowing, the iMow robotic mower independently returns to the docking station and recharges its battery. 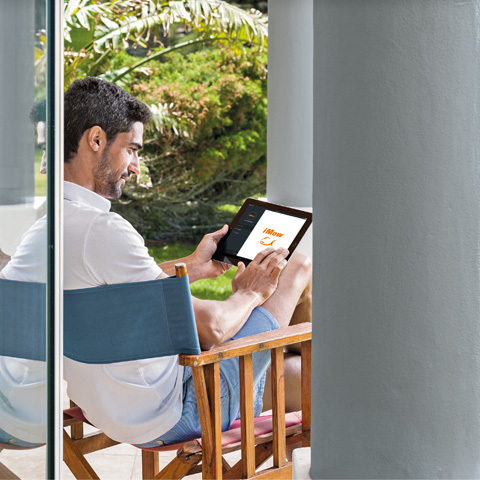 Thanks to its intelligent charging system, the iMow decides independently whether an express charge is necessary due to another imminent mowing operation or whether the battery should be charged more gently in normal mode. The docking station can be placed within or outside the lawn area. The sturdy iMow mulching blade ensures a precise cutting pattern even on higher grass growth. Its rotational direction changes automatically every time the blade stops. This means that the blades of the automatic lawn mower wear evenly. The blade can be changed without the need for tools.